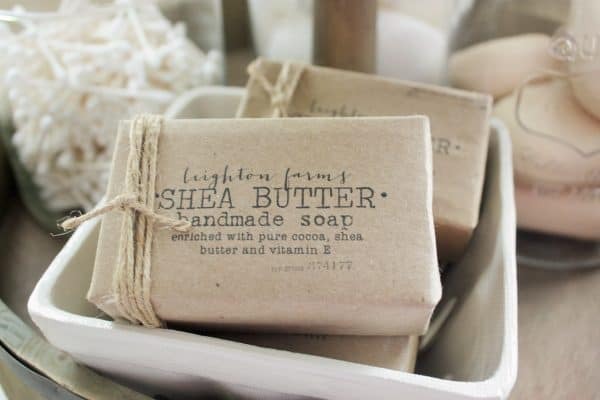 This post on soap packaging ideas is still (three years later) one of my most popular! 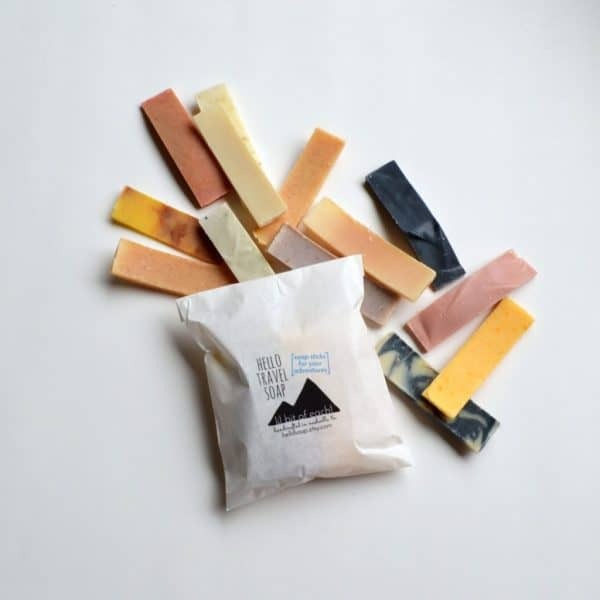 Since styles and techniques change so quickly, I knew it was definitely time to put together another roundup on how to package homemade soap. These free printable labels via house of hargrove are the perfect combination of rustic and chic! boho-weddings shares this easy tutorial-it’s hard to go wrong with twine and greenery! 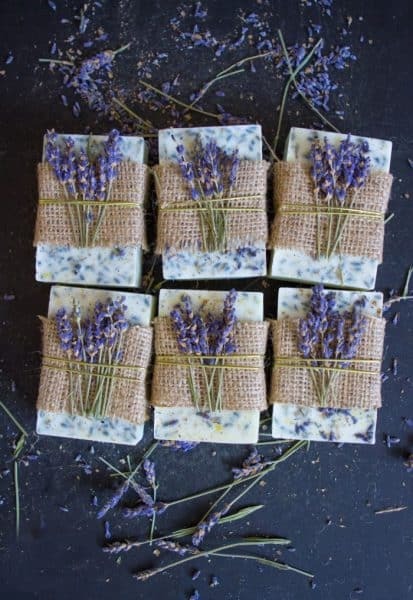 Lavender soap is made even prettier by adding dried lavender and burlap! curisoita ellya shares this gorgeous packaging! 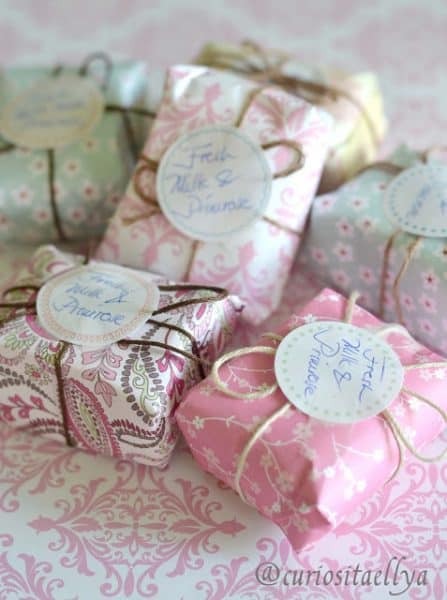 What a great way to repackage purchased soaps! 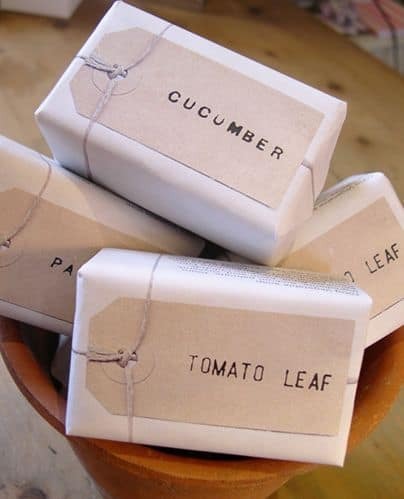 Love the idea of using stamps and simple kraft tags! 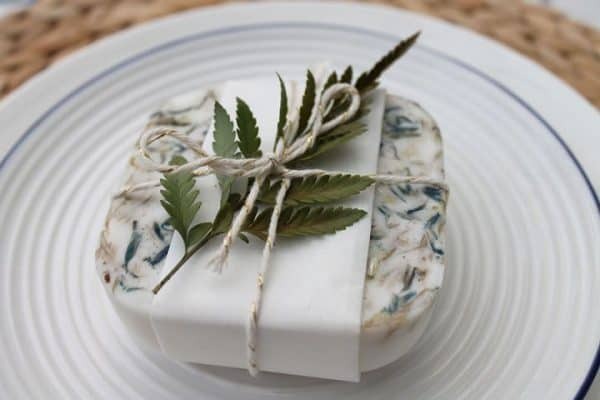 Presenting soap in a soap dish, wrapped with a length of ribbon, is a fun and unique way to package handmade soap! 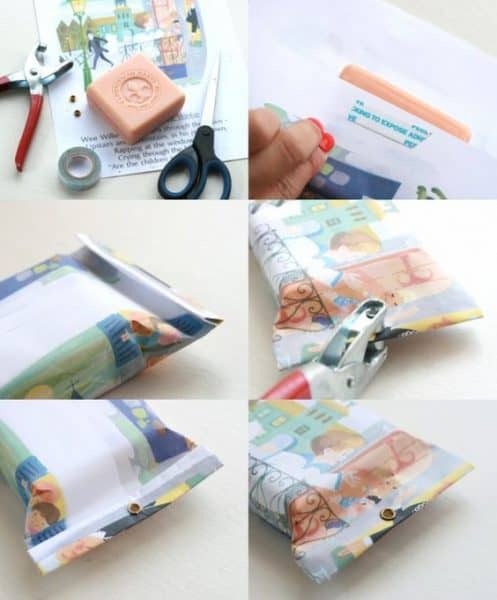 Stamped kraft bags couldn’t be easier. All items are readily available and inexpensive! 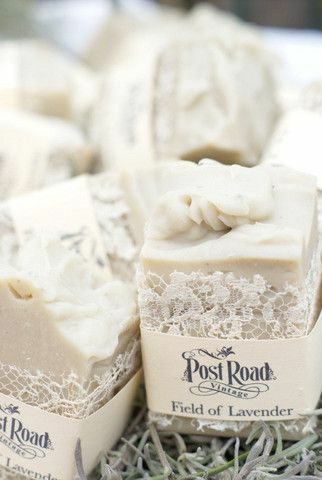 Everything is better with a little lace, including these lovely soaps! This idea, via my poppet, is one of my favorites. Use vintage storybooks for an extra-sweet and nostalgic touch. 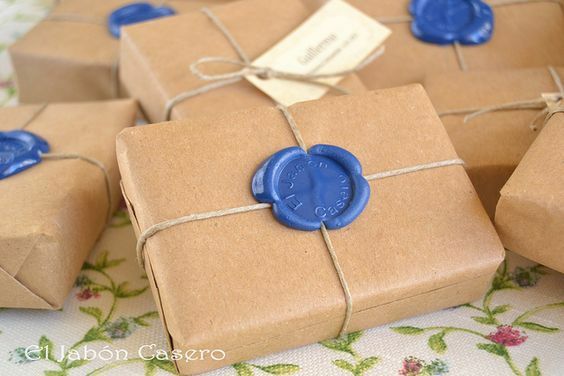 Custom wax seals are a great way to personalize your handmade soap. 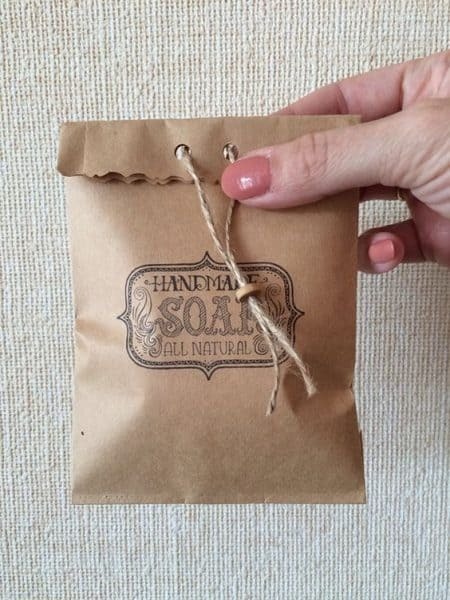 Consider glassine bags for another inexpensive soap packaging idea. Ready to get started making your own handmade soap? We have two tutorials for you: DIY Confetti Soap (so fun for kids! ), and, for adults, Lavender and Wild Orange Soaps! 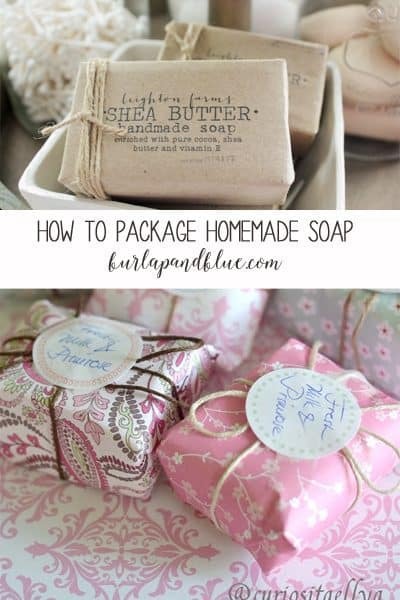 Thanks for reading about how to package homemade soap! Happy creating!